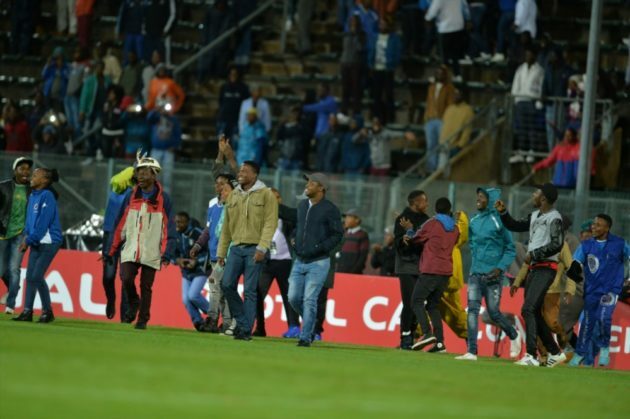 The Confederation of African Football (Caf) have fined SuperSport United R200 000 for a pitch invasion that occurred after the second leg of their Caf Confederation Cup final second-leg match at Lucas Moripe Stadium on Saturday night. Caf have moved swiftly to mete out a sentence for the pitch invasion by TP Mazembe fans celebrating their team’s success in the competition after the second leg ended 0-0‚ ensuring a 2-1 aggregate victory for the team form the Democratic Republic of Congo. Mazembe were fined R70 000‚ Caf said in a statement posted on their official website on Tuesday. 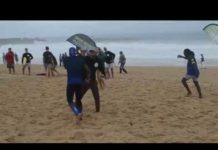 “The Caf Disciplinary Board has sanctioned TP Mazembe and SuperSport United for pitch invasion by supporters of the two clubs during the second leg of the final of the Total CAF Confederation Cup played on Saturday‚ 25 November 2017 at the Lucas Moripe Stadium in Pretoria‚” Caf said. “In pursuant to Articles 83 and 151 of the Caf Disciplinary Code‚ SuperSport has been fined $15 000 [R205 000] for the security flaw in the organization of the match. 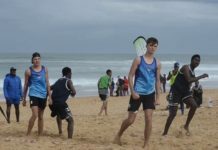 “The South African club has also been cautioned against a repeat of such incident‚ or risk playing their games behind closed doors.